By @SimonCocking. 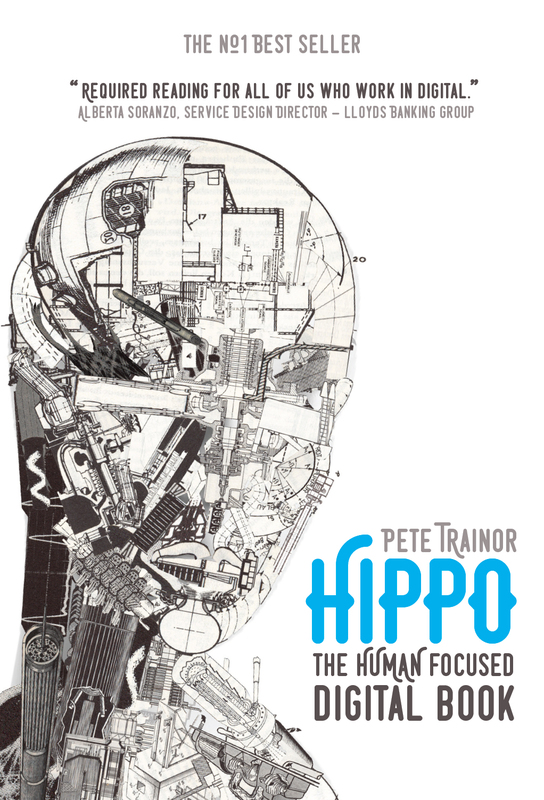 We caught up with Pete Trainor Author of @thehippobook which we have just finished reading. We thought it might be interesting to learn a little more about why he decided to write his philosophical musings on the future of design and the digital world. You can buy the book here. We enjoyed the book, was it a labour of love to write? Is there anything different you’d write about in more or less detail if you were to do another book or a second edition? Absolutely a labour of love. I had no expectations of it selling any copies, so really just set about writing something for myself. Which sounds self-indulgent, but in a lot of ways is also the theme within the book’s pages. We’ve got to spend more time looking inwardly at the self before we set about solving mass market challenges. It baffles me a lot of the time that we spend so much time crafting the user-journey or plotting the customer-journey, when in reality every human being is on a journey we know nothing about. There’s no homogeneous experience when we really step back and look at things objectively. We have some new chapters already ready for the book actually. Less a second edition and more a reaction to some of the feedback. We listen a lot to people who’ve read the book and set ourselves up to be able to make changes and have them available, to order in print, in less than 24 hours. Which is pretty cool when you think about it. There’ll be some new content that breaks down what makes a ‘conversation’ and there’s a really lovely new piece about ‘freedom’ which I’m particularly proud of. Did the book evolve and change shape – you mentioned the value and impact of working with a collaborator? Oh yeah, so much. That was one of the true joys of writing something like this to be honest. 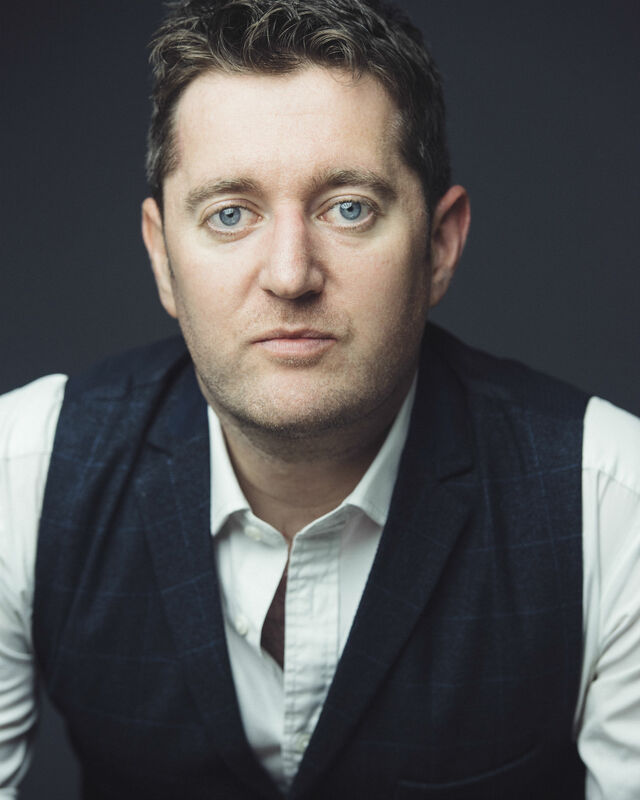 Luke was originally hired as an editor and what happened was we ended up really collaborating hard on the subject, largely because he doesn’t come from a technical background at all. So I set out to write a really straight-up design book and what actually emerged was this philosophy piece. The more he questioned me about the assumptions I make as a professional, the more I started to realise that a lot of the assumptions we make as technology creators are just that, assumptions, the more I started to really challenge my own perception of what digital is and could be. On page 114 you discuss the possibility that tech will free us. This is an exciting idea, how soon might it happen, and for how many of us? Technology is so wonderful. A total tribute to how awesome we are as a species. Anybody that parrots on about how terrible it is, might have missed the point, which is, we’re so early on in our relationship with it (on the grand scale of things) that we’re still waiting to see how the dice will land. Which is also our gift because we can shape it. I love this idea that we now have as much opportunity to save lives as we do to ruin them. It’s really exciting. In the book, you mention how we turned a corner in 2016, with NLP assisted advances in AI developments, how might this impact on our lives in the near future? This was one of the most exciting moments for me. When technology truly starts to understand us and perhaps vice-versa. Natural Language Processing, to me, represents us moving a step away from the interfaces. I’m really excited by this world where we get all the smarts of technology, but none of the burden. Things I can talk too and get advice and wisdom from, without this need to ’tap tap tap’. All talk and no buttons. Of course it’s going to take a long time for it to be truly ubiquitous and get ‘good’, but the fact that it started to be a big part of conversation (no pun intended) throughout 2016 seems like a big shift change for me. You mention how humans carry out as many altruistic acts as evil ones, possibly even more, does this make you overall optimistic for our future? I’m definitely an optimist. We should be, we’re on the cusp of such incredible things ‘if we want them to happen’. As I’ve mentioned, as a species we’re really good at solving things. We’re hardwired to fix problems. We’re also very good at breaking things, but it’s a ying-yang scenario. What makes me feel disappointed occasionally, is that we spend an awful lot of energy focusing on the negative aspects of technology and digital, which tends to perpetuate the issues that do exist. If we focused a lot more energy on the positives, I wonder if we’d create more positive, less cynical things. It’s the same throughout history with almost everything though, we focus on the negatives, of which there are many (internet addiction disorder, the mega-city, attention deficits etc) and it draws our attention away from the huge positives (the sharing economy, big data and Ai to support mental health, a smaller more connected planet etc). What are your thoughts on Ray Kurzweil’s belief in a relatively imminent singularity? The singularity is a bit of a paradox, because it is an attempt to imagine something that is by definition unimaginable to the humans living in the present day. I love the mind of Ray Kurzweil, he’s definitely a hero of mine and in the opening introduction of the book I even reference reading ‘Age Of Spiritual Machines’ in 1997 when I was just discovering the internet. So maybe a lot of those early predictions from people like Ray influenced people like me to go off and create things in much the same way as Star Trek made a lot of people dream about mobile phones and video conferencing… who knows? What I do know, is that Ray was never able to predict that technology like Ai would also find it’s way into the hands of the kinds of thinkers, myself included, who might try and shape it to do really good things… solve some of the big dilemmas. Now that’s exciting! Will we avert a Skynet future for ourselves? Absolutely. That’s science fiction. It’s more exciting to focus our energies on the great things we can do and will happen. There’ll be no doomsday robots any time soon. There may be a whole load of robots making peoples jobs more efficient (customer service and support desks?) or even doing the jobs that currently put lives at risk (fire and rescue?) but I can’t see a world beyond something more augmented than the one we have now. At the heart of the book is a set of really pure thoughts. Ones that I think give people some ideas on how to approach what we’re currently doing, with just a tiny bit more wisdom… like moving from Design Principles to Experience Principles and asking not what we want users to do, but how we’d like people to feel? I love this concept of Minimum Viable Personality rather than the Minimum Viable Product that we use today. Maybe we should spend less time optimising journeys and move towards all talk & no buttons? Our lives definitely become a lot richer when we shift from content driven design to question driven design. Finally, my career started in HCI (Human Computer Interaction) and I’m super excited that we’re now shifting to HCR (Human Computer Relationships). Relationships are what makes the world a better place… Keep doing things better or do better things?